"Unfortunately, in the initial release [of the game], [the Pac-Man] sounds started playing automatically -- an oversight or an homage to , I guess," said Socol. "Even if Google was open in a background tab or window, or in a hidden iframe created by an add-on, the Pac Man music and sound effects would start. And that confused some people." 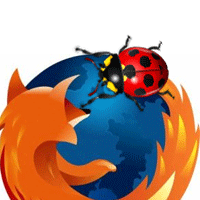 So many, in fact, heard the sounds that when they didn't find an explanation on Mozilla's support site, they posted enough questions on the support forum to slow the company's database server to a crawl. "The pounding we took on the forums also caused replication on our slave databases to fall behind by as much as 1.25 hours, so even when we wrote an article about the noises, it didn't show up for most people," Socal added. "We just got DDOSed by Pac-Man," Socal said another Mozilla engineer quipped, referring to a distributed denial-of-service attack, the malicious assaults that attempt to bring down a Web site. "We had a new kind of 'virus' attack today that people were calling in about," said Mike Williams, a support manager with Clearwater, Fla.-based Sunbelt Software. "A few people, including an admin[istrator], called in thinking they had virus with the sound of a siren in the background of their Web browser." Google has removed the Pac-Man doodle from its home page and placed it on a peripheral part of its site. Automatic game sounds have since been disabled :-) they now begin to play only after the user clicks on the "Insert Coin" button. Industry legend Toru Iwatani will open the Festival of Games 2010 with a keynote speech. Iwatani is the creator of Pac-Man, the Pop culture phenomenon that swept across the world since 1980. The yellow pill gobbler is one of the most recognized icons in gaming, and one of its strongest brands. Pac-Man's story is filled with highpoints. It took more than a year after release before the public began to notice the yellow partly-eaten Pizza, but after that, there was no stopping him. Pac-Man is mentioned eight times in the Guinness Book of Records. It is the highest grossing arcade game of all time. Pac-Man became a cultural phenomenon. 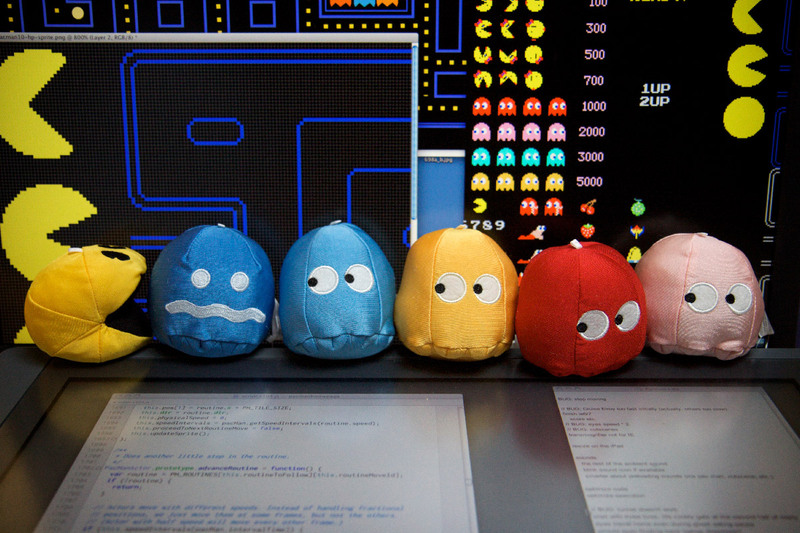 His image decorates countless products, from t-shirts to Pac-Man shaped book cases. The pill-addicted hero stayed popular in the past three decades, and over thirty spin-off games where released. "We are deeply honored with the presence of Toru Iwatani. His games are partly responsible for the industry we see today," says Matthijs Dierckx-Kuijper, publisher of industry magazine Control, and co-programmer of the NLGD Festival of Games. Seth van der Meer, chairman of the Stichting Nederlandse Gamedagen, which organizes the Festival: "Iwatani-san delivering the opening keynote continues a tradition that began with Ralph Baer's speech on a previous Festival. Baer is the inventor of the game console. These industry legends show our devotion and dedication to this remarkable industry." Toru Iwatani is still active in gaming. He is now a professor at Tokyo Polytechnic University. He will demonstrate his teaching skills in an exclusive workshop for a selected group of gamedesign students at the Hogeschool van Amsterdam. The Festival of Games is a combination of several game-related events, aimed at developers, publishers and investors in the gaming industry. The conference will go alongside an international matchmaking event, an exposition, a career fair and a section where up and coming talents can show their skills. The Festival of Games takes place on June 3 and 4, at the Jaarbeurs in Utrecht. Happy Birthday Pac-Man ! Thank you for a great 30 years ! It all began in Japan when a young designer named Toru Iwatani was inspired by a pizza while working at a company called Namco. The pizza was missing one slice and the idea of Puck-Man was born. (Puck-Man came from the Japanese phrase pakupaku, which means to flap one's mouth open and closed.) "Puck" became "Pac" when the game made its way to the United States in 1980. On Saturday, Pac-Man will be turning 30, and to celebrate, the Japanese video game company Namco has organized a birthday party in Los Angeles and released Pac-Man Championship Editions and Pac-Man Lite for the iPhone and iPad. Namco Bandai is holding an event next month on June 15, timed with the E3 video game expo, with a surprising guest in attendance. Namco Bandai says that we'll get hands-on time with "unreleased titles on console, mobile, arcade, and more,"
Toru Iwatani, in 1979, created Pac-Man as a young Namco designer, and perhaps unknowingly began the Pac-fever, which hasn’t necessarily stopped in today’s video game world of realistic game playand high tech graphics. "Pac-Man is way deeper than I originally thought," says Chris Scott, who finished fifth in the last New York City Pac-Man tournament. "I used to think that you just went around collecting dots, but now I understand that each ghost behaves differently," he said. "There's a whole psychological aspect to the game that is simple and complex at the same time." But Pac-Man remains a challenge. The arcade version of Pac-Man had a highest possible score of 3,333,360, which only five people have ever achieved: Billy Mitchell (July 3, 1999), Rick Fothergill (July 31, 1999), Chris Ayra (February 16, 2000), Tim Balderramos (December 4, 2004) and Donald Hayes (July 21, 2005). PC World amed it the best arcade game of all time, and Guinnes World Records lists Pac-Man as the “most successful coin-operated game” ever. Google has now made the game permanently available at http://www.google.com/pacman. In typical fashion, Google changed the header image of their homepage to honor the hottest topic of the day. Ok, big deal, it’s just a picture of a typical Pac-Man level with the Google logo inside. But hey, what’s that next to the Google Search button? Insert Coin? BING! Play the first ever interactive Google Doodle featuring PAC-MAN! This Google Doodle has PAC-MAN running around the custom built Google maze. Google frequently switches up its primary-colored logo in order to celebrate the birthdays and anniversaries of luminaries, pop culture icons, and important innovations (Sesame Street and the barcode have been among the honorees), but the Pacman Google logo is unique in that it is the first playable Google Doodle. Pacman will be up on Google for a total of 48 hours - from 8AM PT on Friday through Sunday morning. The programmer behind the Pacman Doodle was reportedly the son of a game and pinball technician and used to accompany his father to arcade parlors and help him tinker with the games. "When I was growing up, my dad had the best job I could possibly imagine: he was an arcade game and pinball technician. For me, that meant summer trips through Poland’s coastal cities with their seasonal arcade parlors; peeking inside cabinets to learn programming and engineering secrets; and—of course—free games! PAC-MAN seems like a natural fit for the Google homepage. They’re both deceptively straightforward, carefully hiding their complexity under the hood. There’s a light-hearted, human touch to both of them. And we can only hope you find using Google at least a quarter as enjoyable as eating dots and chasing ghosts. You know, without actually needing any quarters." arcade video games were in his blood. His father was a game technician who used to take him around to arcades and let him see how the various machines worked. From those humble beginnings came a lifetime of interest in games and, now, the motivation and passion to make the Pac-Man project be as faithful as possible to the original game. That commitment to authenticity extended, Wichary explained, to some of Pac-Man's little quirks. For example, though many people would never have experienced this, the original arcade game had a bug that resulted in anyone making it past the 255th level hitting what came to be called the "Splitt Screen", where the machine essentially crashed. Google made sure to build that experience into their game. "Google spent a lot of man-hours making sure the simple things that make Pac-Man were included," Hisatsune said, referencing the coffee break and 255th-level bug. Germick explained that at Google, the Doodle team is always looking for ways to make the Google home page a "fun place to be," so once the team came up with the idea for the Pac-Man project, "it didn't take a lot of selling internally. Once people saw it, they were like, 'Awesome.'" Putting together the Google version of Pac-Man took a couple of months, but Wichary said it would be hard to estimate how much time they actually put into the project because "I enjoyed it so much. It was a throwback to my childhood." Indeed, Wichary said that one of his biggest reasons for getting involved in this effort was to help bring other people back to their own childhoods. Photo: Namco Bandai President and CEO Kenji Hisatsune, Pac-Man and the red Ghost. Pac-Man fanatic Chris Scott will mark the day by playing a few games at the Chinatown Fair Video Arcade on Mott St. And Jonathan Schnapp, 37, winner of the 2009 Uniqlo Pac-Man Challenge, plans on playing a game or two on the Ms. Pac-Man machine he bought for his West Village apartment. "There's very few other games with so much eating and so little violence," says Schnapp. "Even the ghosts aren't scary ghosts. They're funny ghosts. It's one of those games that never gets boring." Namco Networks is excited to announce its 'Win a PAC-MAN-themed smart car' sweepstakes to celebrate the video game icon's 30th birthday. From May 21 through August 20, participants from the U.S. and Canada are encouraged to visit PAC-MAN's official site (www.pacman.com/en) and fill out the electronic entry form. No purchase is required to enter but you must be at least 18 years of age. Further information on the sweepstakes, including official rules and regulations, can also be found there. The winner of the brand new 2010 PAC-MAN-themed smart car will be selected on September 3, 2010. According to Kenji Hisatsune, CEO of Namco Networks, "Over the last 30 years, PAC-MAN has continued to evolve and be relevant wih his fans-no matter the demographic or generation. Giving away a smart car that commemorates his 30 years is a way for us to show our appreciation to one of the many fans out there." Celebrating the 30th anniversary of Pacman, Namco and the convenience store chain Sunkus tie up with a release of a Pacman shaped steamed bun. The bun itself is filled with cookie and custard cream. The custard cream is a typical Japanese dessert filling, but the inclusion of the cookie element is a new thing. The bun is about $1.25USD~(120 yen) and is available for a limited time only. Beneath the bun is a custom designed wrapper with information about Pacman’s 30th anniversary. Tie-ups like this are not uncommon in Japan, but this product is very unique and an intelligent pairing of concepts. I can’t vouch for the flavor of the product though, even for the Japanese market, the flavor was a little exotic. A yellow, dot-munching legend will soon descend upon Swindon, Wiltshire, England, to celebrate the 30th anniversary of all-time video game classic, PAC-MAN. Three unique events have been organised by the Museum of Computing in Swindon to mark this milestone, scheduled to take place on Saturday 22nd May 2010. People will be able to play variations of PAC-MAN on machines such as the Nintendo Game Cube, the original Game Boy, Sega Master System and many other retro game systems. The museum will also be staging a dedicated exhibition on the history of this social phenomenon, globally synonymous with 80s popular culture. Museum volunteer Andy Romain said: "PAC-MAN was my first introduction to cocktail cabinet gaming. Sitting with a pint of coke and being drawn into the neon-like maze world of this little yellow iconic character. Then I was thrilled when I was given a Grandstand handheld version of the game." The Museum of Computing was the first dedicated computer museum in the UK, opening in 2003. It is a non-for-profit Company limited by guarantee and is run entirely by volunteers. The museum has a collection of over 3000 objects related to the history of computing and holds regular exhibitions and events. Visit http://museumofcomputing.org.uk/ for more informations about the event. In a recent flyby it conducted around the Saturnine moon Mimas, the NASA Cassini spacecraft managed to obtain the most detailed, high-resolution images of the space rock ever produced. The recent photos of the surface, combined with complex temperature maps, provide the most comprehensive view to date of the peculiar natural satellite. Researchers investigating the photos were surprised to find an old “friend” on the moon, the famous video game character Pac-Man. It appears to be eating one of its famous dot, in the temperature map that Cassini produced.